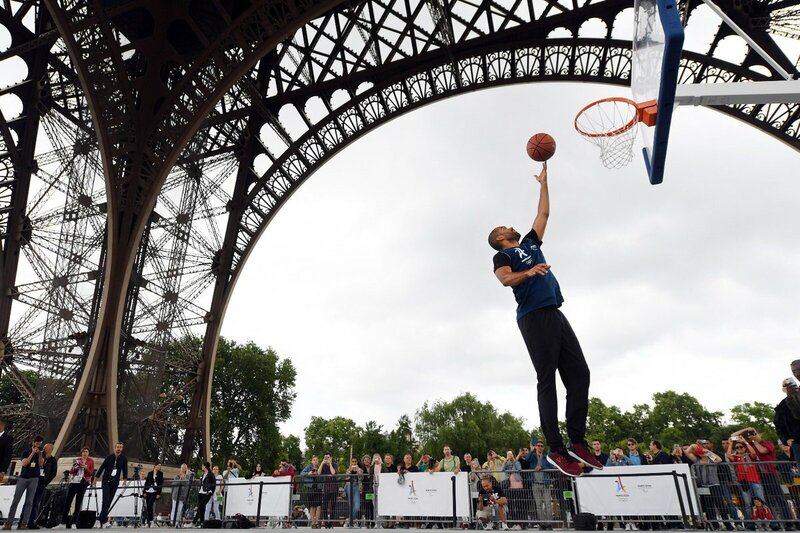 Tony Parker, France’s National Basketball Association (NBA) star, was named as the Paris 2024 education ambassador. The announcement was made beneath the Eiffel Tower by Paris 2024 President Tony Estanguet, at a basketball display laid on for media and the visiting International Olympic Committee Coordination Commission. The 36-year-old Belgian-born French professional, who currently plays at point guard for the San Antonio Spurs, said: “This is an honour. “When I spoke about this Tony [Estanguet] told me his vision about what an ambassador should be. “I was ready to be involved and when he spoke to me about the role it was logical for me to take it because he knew about my job in Lyon with my basketball club and the Academy I will open next year. Asked what his role would be, Parker – who became chairman of Lyon Basket Feminine, a member of the French women’s basketball league, last year – said: “I will be involved in many events, such as the one here – although I don’t know if it will be possible to organize a better location than the Tour Eiffel. “In the near future we will make an announcement about what plans we would like to make. “I will discuss the matter with Tony. “I would like to play for the two next years. Estanguet, a triple canoeing Olympic gold medalist, added: “It is formidable to receive the support of an athlete like Tony Parker. “Always during the 2024 bid he helped us, he was always with us. “Now he would like to share his passion for sport, he would like to engage with a young generation of players. “He knows how to speak to young people – I saw that today in the eyes of the young players on this court. Four times an NBA champion, Parker has also contributed richly to his country’s fortunes on the court. In 2013 he was named most valuable player as he led France to victory at EuroBasket, and he became the all-time leading scorer in the competition two years later.